Improve pedaling stability, foot comfort and reduce pain. Size 10-11 ITS-F (In-The-Shoe) Wedges® have a symmetrical design with a1.5 degree tilt per wedge that can be used in either the right or left shoe. ITS-F (In-The-Shoe) Wedges® can be used in either the right or left shoe. They have a symmetrical design with a 1.5-degree tilt per wedge. 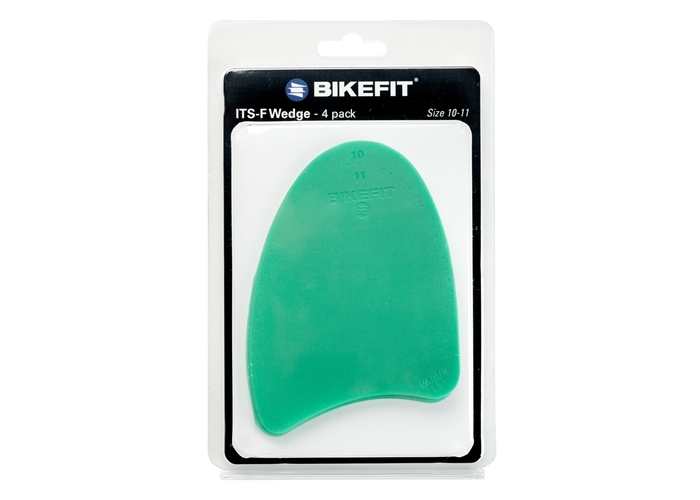 This package includes four (4)size 10-11 ITS-F Wedges plus installation instructions (also downloadable below).